The 2017 edition of the Psycho Las Vegas festival was already super stacked, and now it just got even more exciting. 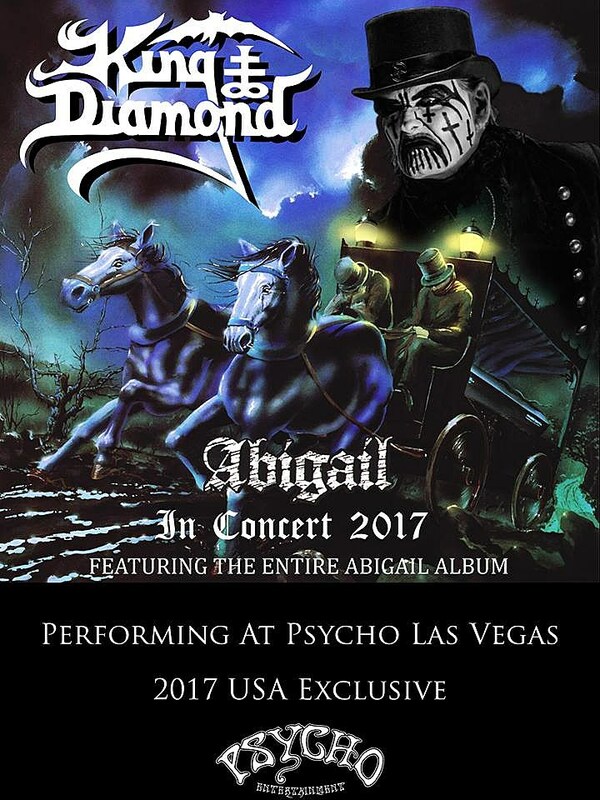 King Diamond was added as a headliner, and he’ll be playing 1987’s Abigail in full (like he did on tour in 2015). It’s billed as his only US date of 2017. As previously announced, the fest also includes Swans, Neurosis, Abbath, Carcass, Melvins, Chelsea Wolfe, Cult of Luna & Julie Christmas, Oathbreaker, Pelican, Sumac, Myrkur, Murder City Devils, WIndhand, Code Orange, Magma, Inter Arma, and many more. The fest goes down August 18-20 at the Hard Rock Hotel and Casino in Vegas. Tickets are still available. Updated lineup below.